Amy Cahill runs Cahill IP, a globally recognized intellectual property practice based in Louisville, Kentucky. Her firm recently became the first ever Kentucky based law firm accepted for membership in NAMWOLF (National Association of Minority and Women Owned Law Firms). 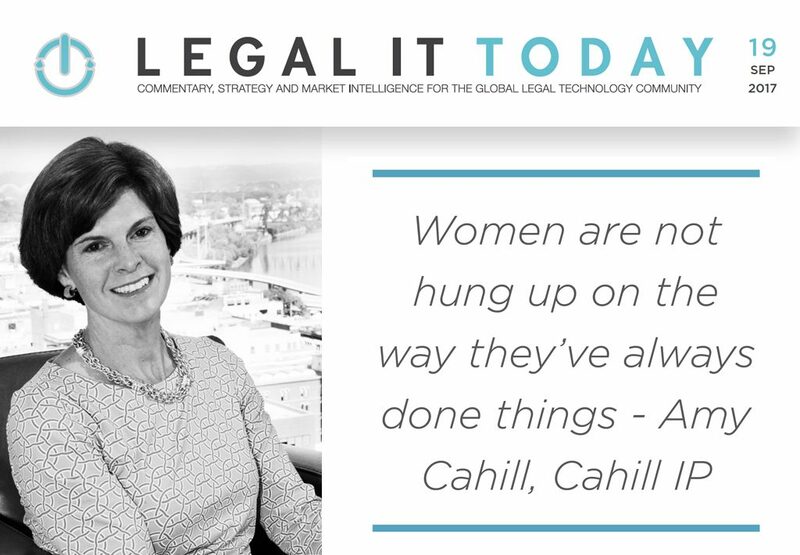 To achieve a paperless office, Cahill uses Office 365, Clio, NetDocuments and Alt Legal, which are all integrated. She uses Fastcase—provided free to D.C. Bar members—for legal research. She does not bill clients for checking the docket or sending out reporting letters, and does not need to charge them for a paralegal’s time to do these tasks either. As a result of this technology combination, her clients understand what is on their bills. Their bills are lower, too. For more information about Louisville Business First’s Intellectual Property Rankings, go to http://www.bizjournals.com/louisville/news/2017/05/26/what-you-always-wanted-to-know-about-trademarks.html (http://www.bizjournals.com/louisville/news/2017/05/26/what-you-always-wanted-to-know-about-trademarks.html) (http://www.bizjournals.com/louisville/news/2017/05/26/what-you-always-wanted-to-know-about-trademarks.html) and also see the May 26, 2017, print edition. Intended to increase the efficiency of Trademark Trial and Appeal Board (TTAB) proceedings and to conform its rules with the technological advances, the U.S. Patent and Trademark Office (USPTO) has amended the TTAB Rules of Practice. The new rules apply to inter partes and ex parte appeal proceedings. Main changes include allowing submission of testimony by declaration and limiting the number of allowed discovery requests. Though the new rules are expected to streamline board proceedings, potential pitfalls remain. Counsel and trademark owners should study these changes and adjust their TTAB practices accordingly. In this two-hour LIVE Webcast, a panel of distinguished professionals and thought leaders brought together by The Knowledge Group will help counsel and trademark owners understand the fundamental aspects of this significant topic. They will provide an in-depth discussion of the new TTAB Rules of Practice. Speakers will also offer best practices in adapting to these changes. For further details, please visit: https://www.theknowledgegroup.org/all-events-list/live-webcasts/event-homepage/?event_id=2099. Amy Sullivan Cahill is the Founder of the firm based in the Louisville office. Amy’s practice focuses on trademark and copyright litigation, advertising review, trademark prosecution, trade secret counseling and litigation, licensing and transactional matters. She represents international companies in the online retail, household goods and fashion industries in U.S. District Courts and before the U.S. Patent and Trademark Office Trademark Trial and Appeal Board (TTAB). Ms. Cahill is versed in registration and enforcement of intellectual property rights through the Department of U.S. Customs and Border Patrol including efforts to prevent the importation of counterfeit goods. Ms. Cahill develops strategies for online businesses to respond to copyright infringement claims in light of developing law under the Digital Millennium Copyright Act’s safe harbor provision. She is listed in Chambers USA (2105), Kentucky Super Lawyers (2013-15), Top 250 Women IP Stars 2014-2016 and is AV® Peer Review Rated in the Martindale-Hubbell® Law Directory. Ms. Cahill co-authored two U.S. Supreme Court briefs on behalf of the American Intellectual Property Law Association, one in the copyright infringement class action Reed Elsevier, Inc., et al. v. Muchnick, et al., Civ. No. 08-103 and the other in the landmark trademark dilution case Moseley v. V Secret Catalog, Inc., 537 U.S. 418 (2003). 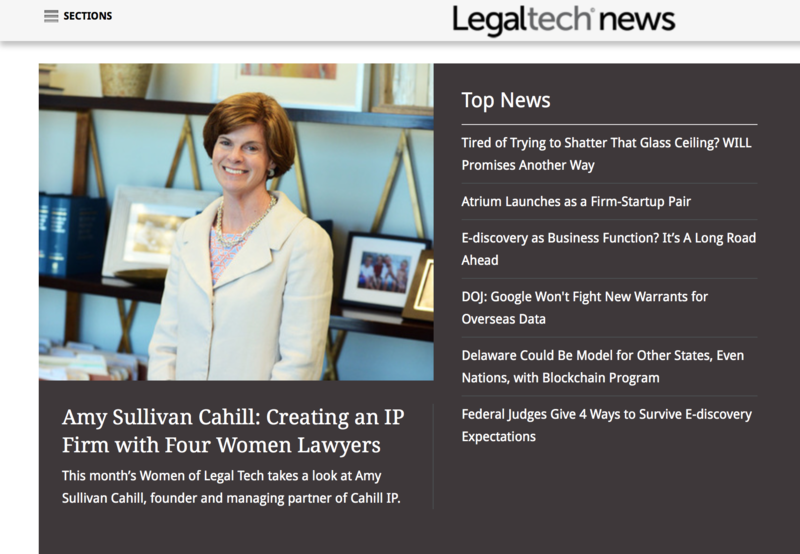 Cahill IP, PLLC (www.cahill-ip.com) is an all-intellectual property, boutique law firm, woman-owned and woman-managed. Offering cost-effective business solutions for intellectual property needs, Cahill IP uses advanced technology and billing approaches to offer trademark and copyright litigation representation, trademark availability searches, trademark and copyright registration services, advertising review, USPTO Inter Partes proceeding representation, and license drafting and review. The Knowledge Congress was established with the mission to produce unbiased, objective, and educational live webinars that examine industry trends and regulatory changes from a variety of different perspectives. The goal is to deliver a unique multilevel analysis of an important issue affecting business in a highly focused format. To contact or register to an event, please visit: http://theknowledgegroup.org/. Plaintiff Matthew Fulks, a part-time filmmaker and television advertising producer in Louisville, Kentucky, filed suit in the U.S. District Court for the Southern District of New York alleging that those responsible for the creation of the widely-publicized film LEMONADE promoting Beyoncé’s visual album by the same name infringed his original work, Palinoia, a short film plaintiff created in 2014, and that part of LEMONADE’s success is attributable in part to the misappropriation. The Complaint alleges that Columbia Records solicited materials from plaintiff Fulks and received, through an intermediary acting on behalf of Fulks, links to the Palinoia work, and then misappropriated elements of the work for Defendants’ use in the widely-distributed LEMONADE film, within a year of receiving the Palinoia work. The Complaint also describes some of the substantial similarities between the works in question. Plaintiff has asked a jury to award him damages recoverable under the Copyright Act as a result of the unauthorized reproduction, including Defendants’ profits earned on the sales of the LEMONADE album attributable to the unauthorized reproduction of his original work. Plaintiff is represented by Robert Clarida of Reitler Kailas & Rosenblatt LLC of New York, Amy Sullivan Cahill of Cahill IP, PLLC of Louisville, Kentucky., and Thomas H. Hughes of Hughes Law Firm of Louisville, Kentucky.